Compared to how much has been written on the Sunni-Alawite dynamics in the Syrian civil war, little analysis exists on the Druze aspect of the conflict. This study hopes to rectify the deficiency by considering the nature of Druze militias operating in the south of Syria, specifically in Suwayda, Deraa and Damascus governorates where Druze populations are concentrated. 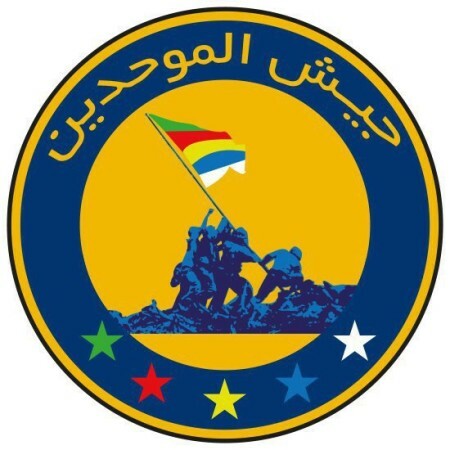 The most prominent name for Druze militias appears to be "Jaysh al-Muwahhideen" ("Army of the Monotheists/Unitarians"), echoing the Druze's self-description as "muwahhideen" emphasizing the strict unity of God. 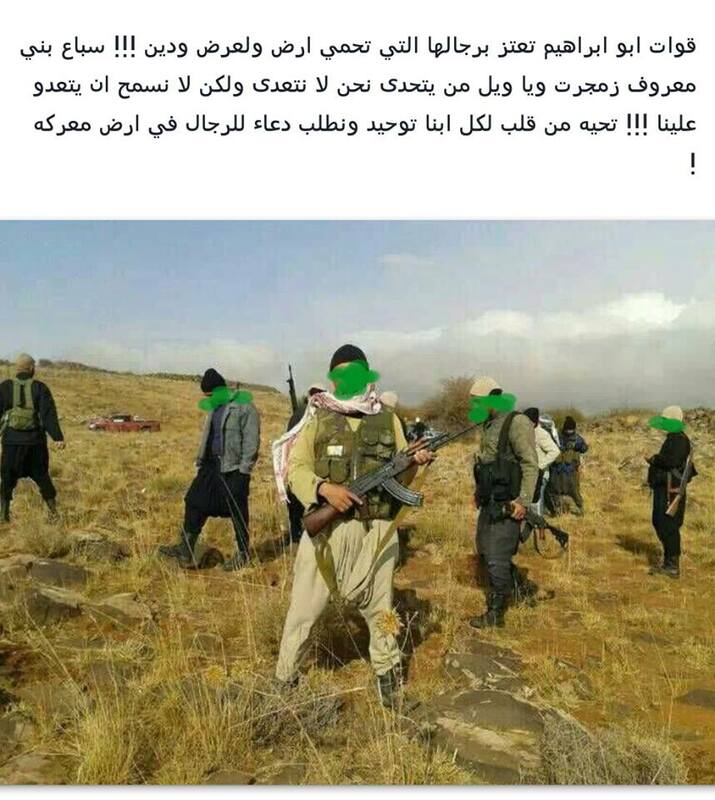 Most notably, here is a video from the beginning of this year of a statement from a "Jaysh al-Muwahhideen" militia in Jabal al-Arab (Mountain of the Arabs), also known as "Jabal ad-Druze": a mountainous area of Suwayda governorate primarily inhabited by Druze. Figure 1: Statement of "Jaysh al-Muwahhideen" in Jabal al-Arab. In the video, the speaker declares that the army is "under the leadership of Abu Ibrahim Ismail al-Tamimi…we are the Muslim Unitarian Druze sect…we have been and continue to be defenders of our property and sons, and protectors for them." He also characterizes the struggle as a "jihad" but it is framed in purely defensive terms: that is, anyone who commits aggression on the Druze land of Jabal al-Arab- regardless of his/her affiliation- will suffer consequences at the hands of the Jaysh al-Muwahhideen, for they are not afraid of fighting in defence of their people. The statement was released in light of attacks on Druze in Suwayda governorate at the hands of gangs coming from Deraa, including the kidnapping of Druze youth referenced in the video. The reference to my fellow Tamimi tribesman Abu Ibrahim Ismail al-Tamimi is an important part of Druze identity here. Abu Ibrahim was an early Druze leader who succeeded Hamza ibn Ali, who is considered to be the founder of the Druze sect during the reign of the Fatimid caliph al-Hakim in the eleventh century. While Hamza is thought to embody the principle of al-'aql ("mind") in Druze doctrine, Abu Ibrahim represents nafs ("soul"). Within Jaysh al-Muwahhideen social media circles, one finds the name of "Jaysh Abu Ibrahim" being used alongside Jaysh al-Muwahhideen. Figure 2: Jaysh al-Muwahhideen logo. 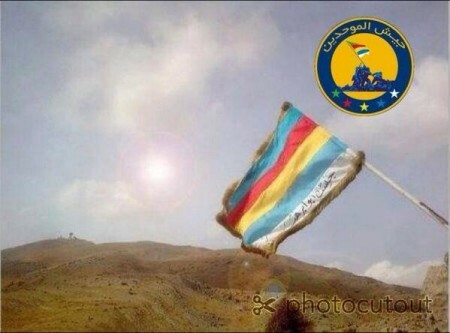 Note the Druze flag. 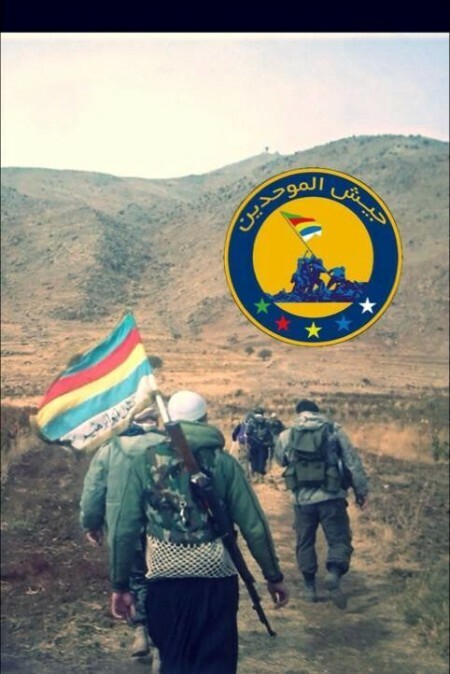 Figure 3: Jaysh al-Muwahhideen photo featuring a Druze flag with the inscription "Jaysh Abu Ibrahim." 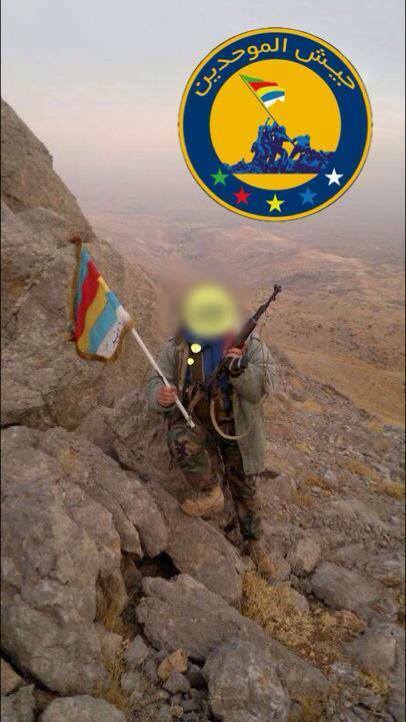 Figure 4: Druze militiaman in Jabal al-Sheikh area (Damascus governorate) bearing the Jaysh Abu Ibrahim flag. Figure 5: Another photo from Jabal al-Sheikh of Jaysh Abu Ibrahim/Jaysh al-Muwahhideen fighters. Figure 6: Anonymous Druze militiamen advertised on one Jaysh al-Muwahhideen page as the "forces of Abu Ibrahim…we do not attack, but we also don't allow anyone to attack us." 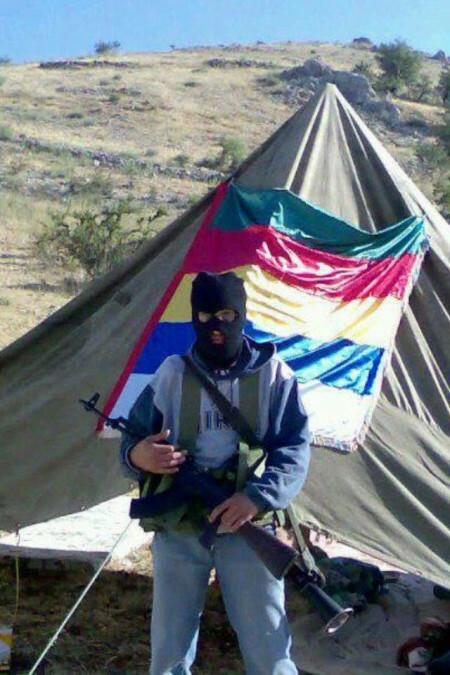 Figure 7: Druze militiaman. Photo from a Jaysh al-Muwahhideen/Abu Ibrahim page. The video linked to above illustrates the main Druze priority in the Syrian civil war: namely, to protect the community's land and honor. This principle is corroborated by interviews I conducted with the activists behind a Jaysh al-Muwahhideen Facebook page and a purely online support page called "Katiba al-Muwahhideen"("Battalion of the Unitarians"). Thus, the former stressed that the Druze militia is not concerned with "attacking the terrorists, but defense of land and honor (not aggression). We only defend." The latter similarly emphasized defending the Druze online. While the focus on self-defense suggests political neutrality in theory (and indeed, the Katiba stated to me that they are not affiliated with any political faction), in practice the Druze militias will side with the local strong actor who can guarantee the preservation of Druze land. Combined with concern regarding the likes of Jabhat al-Nusra,[i] who have for many months played a key role in fighting on the Deraa front in particular,[ii]working with a variety of factions, and apparently being responsible for a recent bomb attack in Suwayda city, it follows that Jaysh al-Muwahhideen circles make a show of demonstrating Druze loyalty to the Assad regime. Thus, the Katiba affirmed to me that in Jabal al-Arab and Jabal al-Sheikh, "people's committees for the protection of villages and towns" have been formed to fight against "terrorism," working "in cooperation with the Syrian army." The Katiba also praised the Syrian army as non-sectarian, claiming that "the Syrian Arab Army is for all Syria. In it are Druze, Alawites, Sunnis, and Christians. Not only Druze. We [i.e. 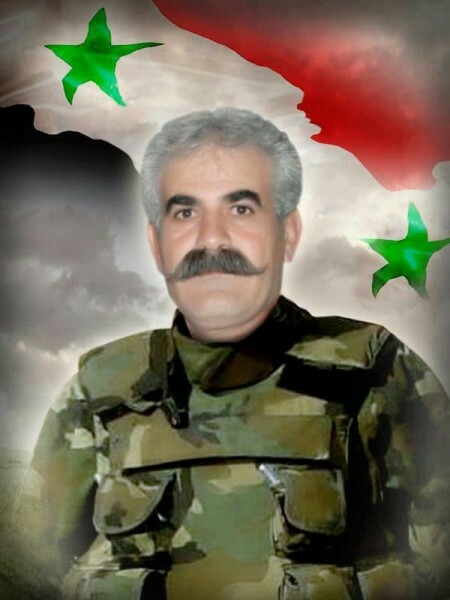 the Druze of Jabal al-Arab and Suwayda, where the activists are based] have brought forth a thousand martyrs in the Syrian Arab Army in the defense of the nation and we are prepared to bring forth more." In a similar vein, the Jaysh al-Muwahhideen social media circles feature imagery closely tying the Syrian Druze community to Assad, as can be seen from a selection below. Figure 8: Procession featuring the Syrian and Druze flags side-by-side, along with a portrait of Bashar al-Assad in front. Put up by a Jaysh al-Muwahhideen page in commemoration of the martyrs from the Druze town of Arna in the Jabal al-Sheikh area. Figure 9: Syrian army soldier indicating his Druze identity. 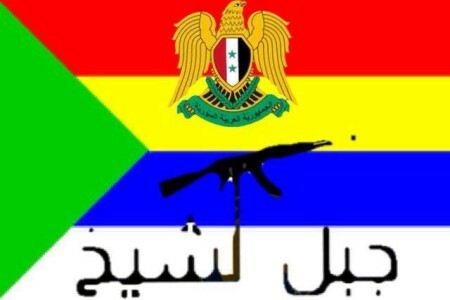 Figure 10: Jaysh al-Muwahhideen graphic linking the Druze with Assad's Syria. This was put up on 9 October to celebrate an attack by the Syrian army on rebel bases in Jabatha al-Khashab, among other places, in Quneitra region. Figure 11: Another graphic from Jaysh al-Muwahhideen circles showing the loyalty of the Druze of Jabal al-Sheikh to the regime. 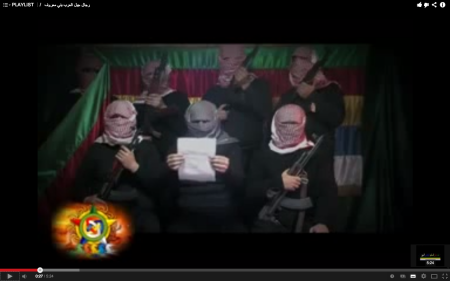 Figure 12: A Jaysh al-Muwahhideen graphic tying Assad's Syria and the Druze. 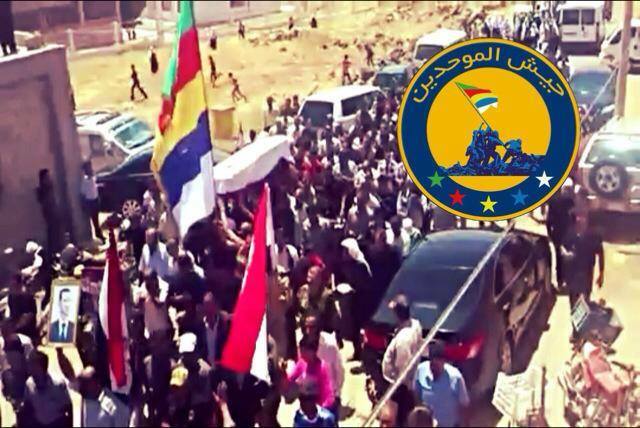 Figure 13: Rally in the summer from Jabal al-Sheikh area in support of the Syrian army, featuring Druze and Syrian flags side-by-side. In 1842, there was a revolt against direct Ottoman rule under 'Umar Pasha following on from conflict with the Maronites. Later, Druze peasant agitation beginning in 1888 developed into a revolt by 1889 in response to repeated attempts by Ottoman authorities to bring Jabal al-Hawran (later to become Jabal ad-Druze, with widespread Druze settlement in the latter half of the 19th century) under direct Ottoman rule from Damascus. The revolt ultimately failed as Ottoman troops poured into Jabal al-Hawran and bombarded Suwayda in 1890. Towards the end of the Ottoman Empire, refusal by the Druzes of Jabal to take part in a census ordered in 1908 led to a full-scale Ottoman invasion of the Jabal, followed by disarmament, conscription of Druze into the Ottoman army, and execution of a number of Druze sheikhs. However, Ottoman troops withdrew by 1911, which meant the Druze could revert to autonomy. While the Druze came to support the "Arab Revolt" in the First World War, dissatisfaction with French rule led to a Druze revolt in 1925 that then took on a nationalist element spurred on by some of the Druze chieftains' sympathy with Arab nationalism. 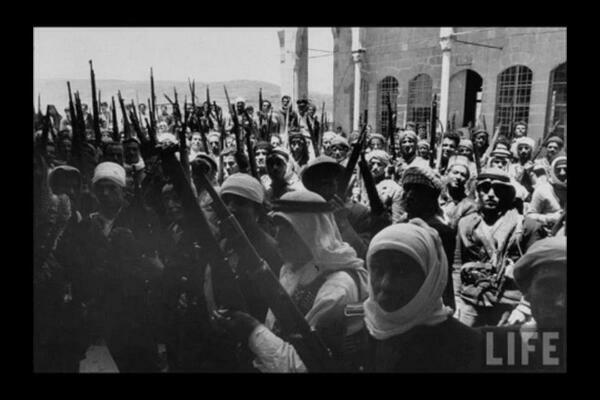 Thus in 1926, Druze leader Sultan al-Atrash insisted that the Druze would not lay down arms unless the French recognized the "complete independence of Syria." Although the revolt ultimately failed in 1927 and led to the designation of a separate Jabal ad-Druze state, the revolt had inspired a younger generation of Druze with nationalist romanticism- just as many younger Alawites were beginning to adopt ideas of Syrian nationalism- and by 1936 Jabal ad-Druze was incorporated into Syria. 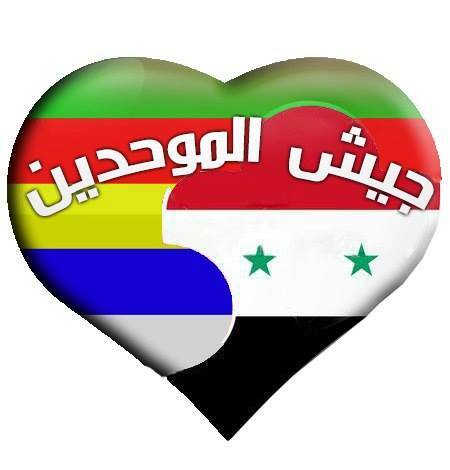 Sentiment about union with Syria was of course sharply divided among the Druze, as was the case among the Alawites. During the 1936 negotiations, both Alawite and Druze leaders sent petitions insisting on remaining separate from Syria, and appealing to Jewish PM Leon Blum's supposed Zionist sentiments. For the Druze militia circles today, however, it is the unionist side that is commemorated. 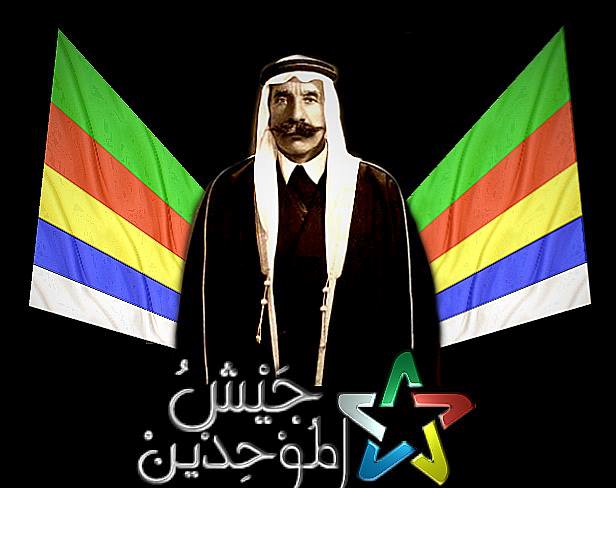 Figure 14: Jaysh al-Muwahhideen graphic commemorating Sultan al-Atrash, the Druze chieftain who became a Syrian nationalist leader in 1925-7. Figure 15: A photo circulated in Jaysh al-Muwahhideen circles commemorating the Druze role in the 1925-7 revolt against the French. Essential to tying the Druze community to the Assad regime is the commemoration of Druze martyrs both from the irregular militias and the Syrian army. Below is a selection of some of those fallen Druze fighters. Figure 16: Ghanadi ash-Shaybani, killed in clashes in Tel Asfar, Suwayda governorate, on 10 November. 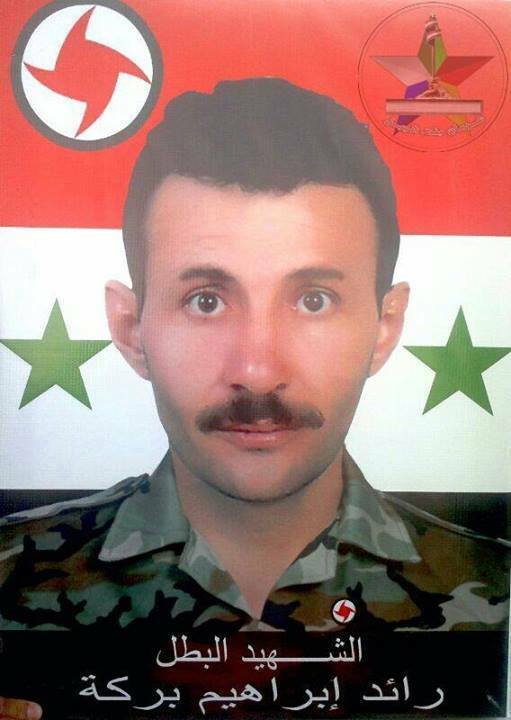 Figure 17: Yaman Aymenn Rafi, a Druze from Suwayda governorate killed fighting for the Syrian army in Qaboun, Damascus area. 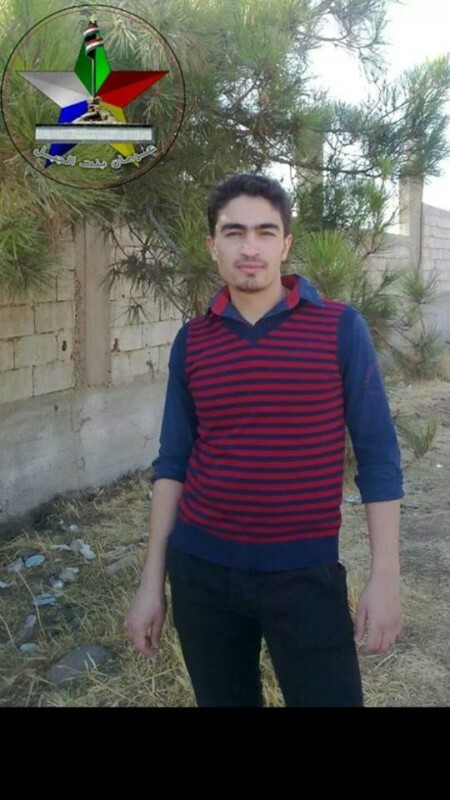 Figure 18: Khalid Jamal ash-Sha'arani, from the Druze village of ad-Dur in Suwayda governorate, killed on 12 November in the Damascus countryside. Figure 19: Basil Jihad al-Dimashqi, born in the Druze village of al-Bathīna, Suwayda governorate, in 1994. 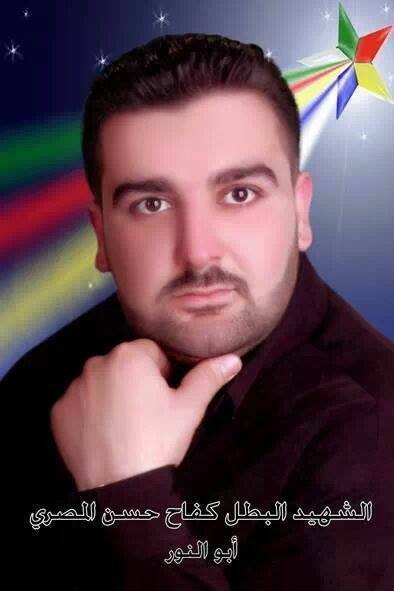 Martyred on 5 November fighting for the Syrian army in Raqqa governorate. 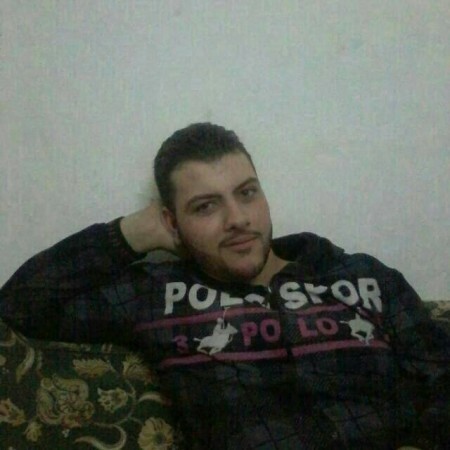 Figure 20: Kefah Hassan al-Masri: a Druze from Suwayda killed fighting for the Syrian army in Jaramana, Damascus governorate, on 31 October. 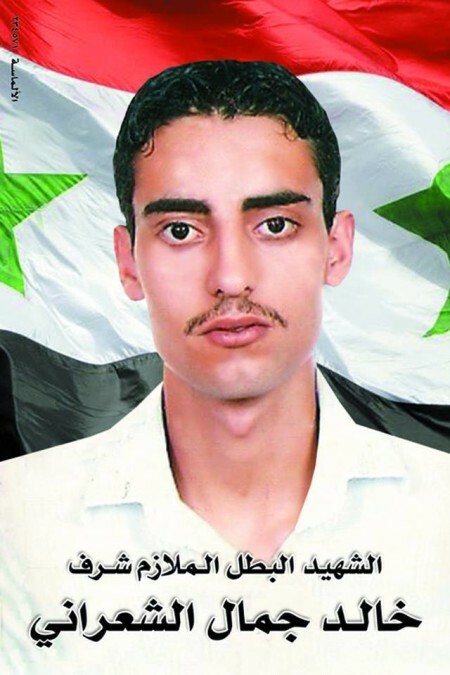 Figure 21: Raed Ibrahim Baraka, from Suwayda and killed fighting for the Syrian army in Deraa governorate on 27 October. Note the strong emphasis on his Druze identity with the Druze symbol in the top right-hand corner, along with his Syrian Social Nationalist Party (SSNP) affiliation in the top left-hand corner. 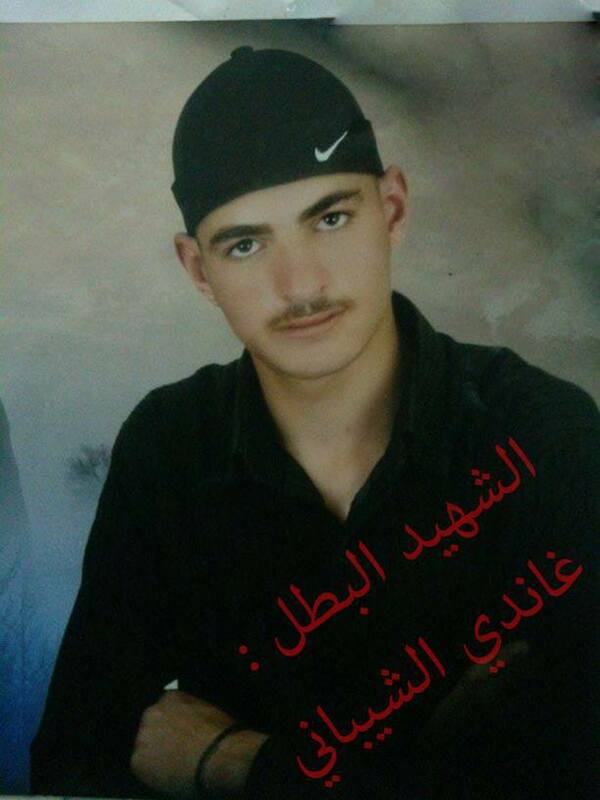 Figure 22: Bassem Mohammed as-Safadi, a soldier from Suwayda killed fighting for the Syrian army in Deraa on 16 May. Note the distinctive Druze moustache. 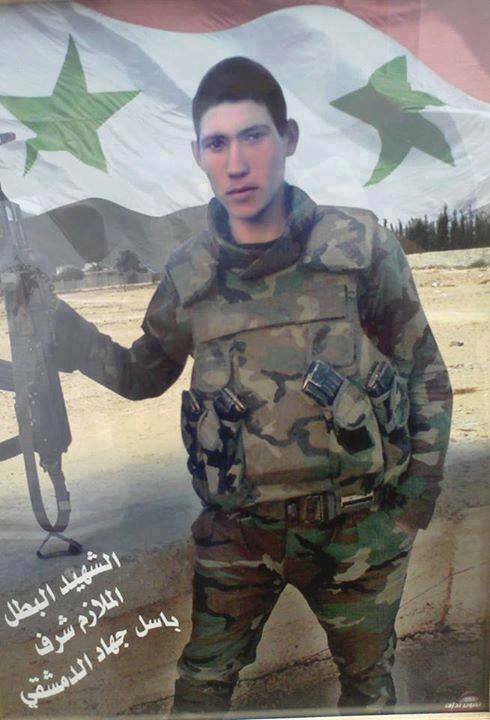 Figure 23: Hussein al-Maqat, a soldier from the Druze village of Amran in Suwayda governorate, killed at the age of 21 fighting in the Zamlaka, rural Damascus. Death announced on 22 August. 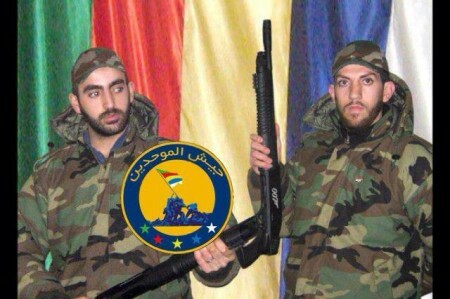 Figure 24: Abu Talal and Abu al-Laith, two Druze fighters killed in Jaramana, Damascus area. 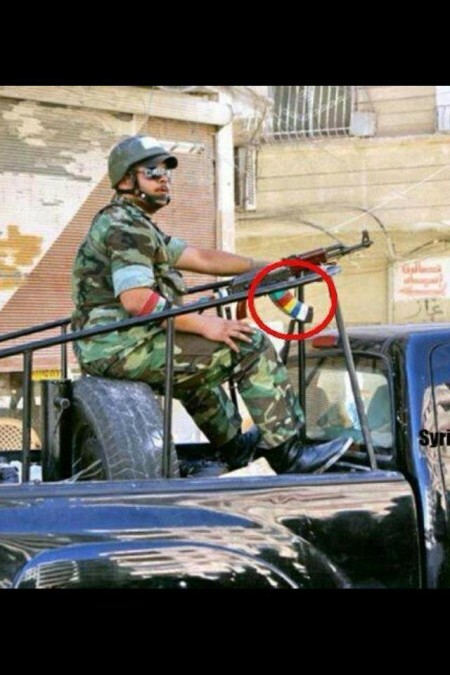 Note the Jaysh al-Muwahhideen label, suggesting overlap between the Syrian army and the Druze militia group. Note in general that the Jaysh al-Muwahhideen/Abu Ibrahim pages frequently put up photos of Druze martyrs for the Syrian army. Besides these photos, one can find a video dedicated to the martyrs of the Druze town of Arna in Jabal al-Sheikh area. Conclusion: Separatism? Alliance with Israel? It would be a mistake to characterize all Druze who have taken up arms in the Syrian civil war as staunchly pro-regime. Some form of distinction from the above evidence can be made between Druze irregulars and those who fight in the Syrian army- principally on the basis that the former are defined by their anonymity. At the same time, one must be skeptical of narratives pointing to a supposedly growing Syrian Druze separatist trend. For instance, Hussein Ibishcontends that Druze "militias are becoming increasingly independent and generally no longer work with government forces." There is no evidence to support this view. On the contrary, the support for Assad emphasized in Jaysh al-Muwahhideen/Abu Ibrahim media circles (including those featuring anonymous Druze fighters), together with the testimony of Katiba al-Muwahhideen, the apparent Jaysh al-Muwahhideen martyrdoms in Jaramana, and the large and continuous stream of Druze martyrdoms for the Syrian army point to three things. 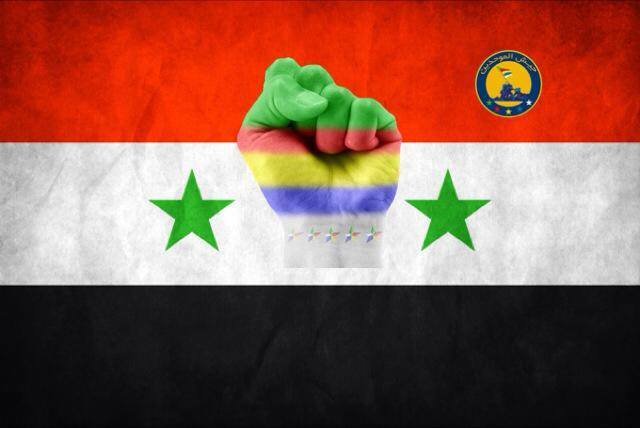 First, of the Druze who have taken up arms, a majority have done so on the side of the Assad regime. 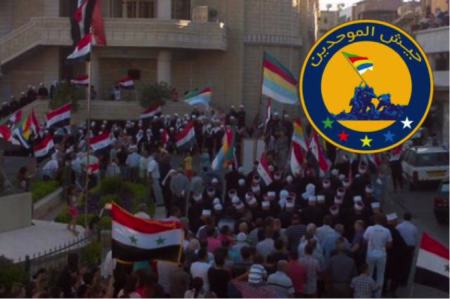 Second, there are still generally close ties between Druze irregulars and the Syrian army, mainly under the guise of people's protection committees. Third, even if actually autonomous, Druze militiamen generally want to show ties of loyalty to the regime and the Syrian nation. Could this all change? Yes. A loss of willingness to support the regime might occur, for example, if it were being perceived that regime forces are losing much ground and on an irreversible and major retreat from Suwayda and Deraa governorates. At the present time, nothing points to such a picture on the battlefield. Druze irregulars might also turn decisively against the regime if, say, the Syrian army were forcing Druze off their land to take up firing positions against rebels. Yet this seems unlikely. We should equally dismiss the notion touted recently in some Israeli press circles of a Druze state emerging from the fragmentation of Syria and aligning with Israel. Besides the problems of the viability of a Druze state (such as the means of supporting an economy), Druze in Syria fall in line with most of the Syrian Arab population (including Alawites and Christians) in having an existential hatred of Israel: that is, not wanting Israel to exist in any form. Indeed, the Jaysh al-Muwahhideen circles continue to highlight the issue of the "occupied Golan." From the Israeli side, experience has shown that getting involved in multipolar civil wars by propping up one side- as was the case in Lebanon- ends in disaster. In the long-run, the rebel presence in Suwayda, Deraa and Damascus governorates is unlikely to be purged completely. Even in the event of a peace agreement entailing de facto partition, the Assad regime is likely to retain the southern and western areas of Syria. Israeli pundits' hopes of minority allies remain illusory, as Israeli officials maintain a more sober policy of overall neutrality while launching airstrikes to prevent those who might wish to wage war on Israel from acquiring new weaponry and providing occasional medical aid to refugees. To sum up, the Druze community in Syria as a whole remains tied to the regime, whether out of genuine pro-Assad sentiment or belief in the regime as its only viable protector,[iv] and there is unlikely to be a profound shift in the orientation of the Syrian Druze community, at least in the near future. [i] Note this Jabhat al-Nusra Deraa council statement from May warning the Druze against supporting the Assad regime and highlighting a supposed policy of protecting Christian villages. [ii] The increasing prominence of Jabhat al-Nusra on the Deraa front has recently been noted by some analysts (e.g. Kirk Sowell). Previously, some saw Deraa as an example of a shift to a more 'mainstream'/Salim Idriss SMC-aligned insurgency. I would clarify that while Jabhat al-Nusra and Islamic State of Iraq and ash-Sham may be smaller numerically than in the north and east, nothing supports the idea of a contrast whereby southern rebels are more likely to be hostile to these jihadi factions than in the north.The picture is rather of mixed views on the whole. At any rate, there is a risk of downplaying Jabhat al-Nusra's role in Deraa in earlier months (see my articles here andhere). The group has consistently maintained overall good working relations with a variety of rebel factions in Deraa. [iii] In the account of the anti-colonial Druze history narrative that follows I am reliant on Kais Firro's "A History of the Druzes," Brill (Leiden, 1992). [iv] To be contrasted perhaps with an overall display of neutrality earlier on when the outcome of the unrest in Syria seemed highly uncertain.